Stories make us human. For Mirko Chardin ’02, his story is of a young man, expelled three times from different schools, who emerged decades later as a middle school principal. Back then, Chardin hated school, and often got in trouble. Raised in Boston by a single mom with mental illness, he learned responsibility at a young age out of the necessity of being a caregiver. 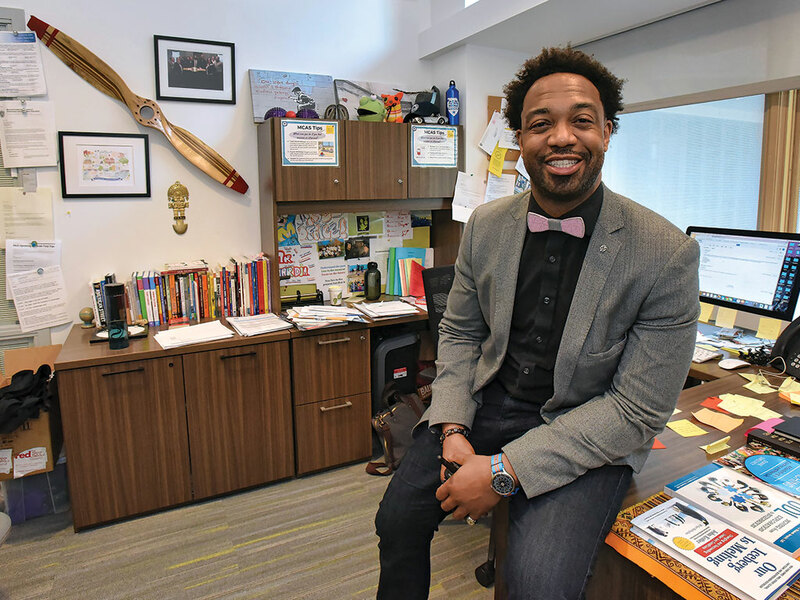 Now, as principal of Putnam Avenue Upper School, a public school in Cambridge, Mass., he strives to help children, many who face struggles like he once did, achieve academic and personal success. His efforts center on nurturing teachers, students and their families by creating safe spaces—ones that promote social justice, intercultural understanding, academic excellence and the honoring of each individual’s personal story. 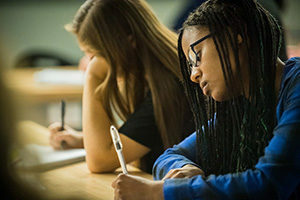 “As an educator, my mission is to solve the question: How do we create school communities that have the courage and willingness to do things differently, that are not solely focused on test scores but understand we are dealing with human beings that someday are going to take over this world?” he said. Chardin’s own journey is of a mission-driven individual who overcame challenging circumstances to make a real impact and difference in the lives around him. “Mirko is one of those American stories that doesn’t get told often enough,” said Juan Matos ’04, an educator and Chardin’s classmate at Wheaton. Chardin struggled in adolescence, but in high school he discovered an environment where he could thrive—a place that continues to inspire him in his work today. At Fenway High School in Roxbury, Mass., a Boston neighborhood, he found a student-centered institution, where young people were encouraged to express themselves creatively; engage in interdisciplinary thinking; be active, engaged citizens; and prepare for college, he said. 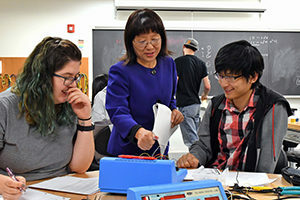 “That experience was really transformative for me, because it was the first time that I saw the connection between educational experiences and schooling and the opportunities outside of school,” he said. 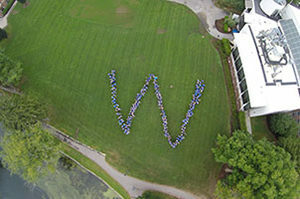 When starting as a student at Wheaton, Chardin, an English literature major, immediately set out to build community. He co-founded the Learning Treehouse, a residential theme house for men of color on campus that focused on community engagement and academic support. At the house, accountability cemented everything. Everyone knew when each other’s papers were due and members had to share their report cards. Basil El Halwagy ’01, another member of the Treehouse, seconded that, noting that Chardin was passionate about initiatives—and not typical college diversions like partying. At the Treehouse, students cooked and shared meals together, organized spoken word events and fundraisers, and shared their art (Chardin also is a hip-hop artist). Matos recalled how Chardin would help him edit his short stories. One time, Chardin organized a potluck with public safety staff and former Wheaton president Dale Rogers Marshall. 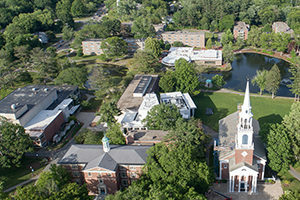 On campus, Chardin had a number of leadership roles, including class president, founder and member of the Wheaton Improvement Association, and chair of the Intercultural Board. But his engagement extended well beyond Wheaton. He mentored at schools, including Robert J. Coelho Middle School in Attleboro, Mass., and Fenway High School; ran a youth empowerment nonprofit through the Boys and Girls Club; and volunteered in South Africa. Also, he and other Treehouse members assisted high school students with preparing their college applications through Upward Bound, a federal program. “More than anything, it was these formative experiences that put working with young people on my radar,” he said. 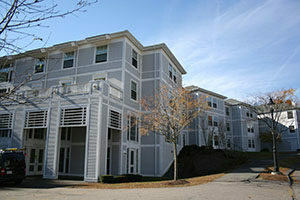 Following Wheaton, Chardin received his master’s degree in education from Tufts University in Medford, Mass., as did Treehouse members Matos; El Halwagy; J.D. Fergus ’01, who currently is a restorative justice coordinator at Prospect Hill Academy Charter School in Cambridge, Mass. ; Jean Transtamar ’04, who works in real estate and renewable energy; and others. Prior to leading Putnam Avenue Upper School, he taught seventh and eighth grade, served as a summer school principal and academy teacher at a pilot middle school in Boston, and was a principal of an academy in Randolph, Mass. He remains in touch with the majority of Treehouse students, some as colleagues—like El Halwagy, an artist and educator (whom Chardin persuaded to pursue teaching), who has worked with him at both Boston Public Schools and Cambridge Public Schools. “He’s a good friend. There is a bit of an overlap between friendships and his initiatives because he loves the people he works with, and builds relationships with co-workers and staff, turning them into friends,” said El Halwagy. 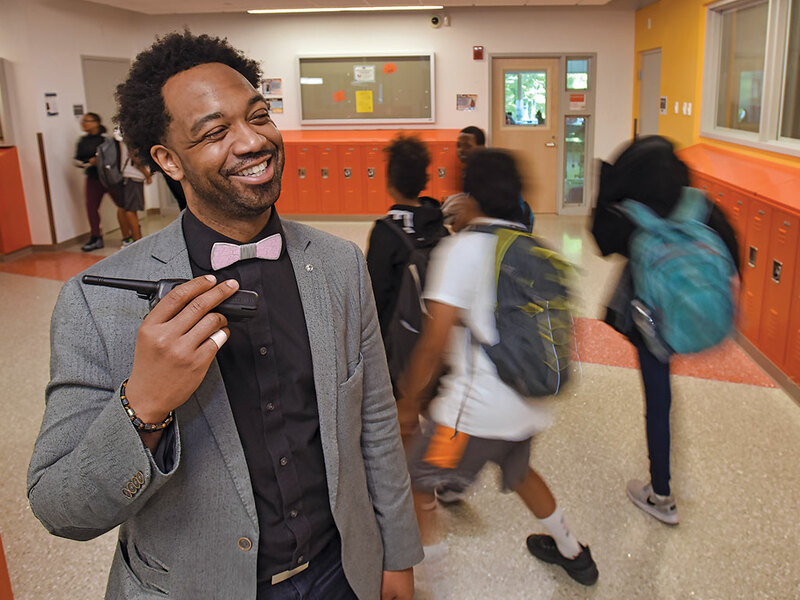 Chardin’s gift for building community serves him well at Putnam Avenue Upper School, a middle school where he has worked for the past six years seeking to develop a culture of learning and growth. 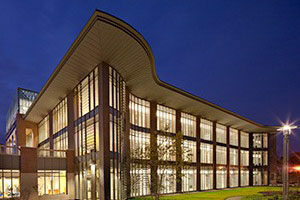 The student body includes 263 children from varied economic backgrounds and different countries. The majority of teachers are people of color, Chardin said, and includes individuals from Vietnam and China. “We were intentional in making sure faculty reflects the student population so when students step into classrooms, their teachers are not just role models but people who can relate to them,” he said. Social justice is a key aspect of the school’s mission, and a main component of that: sharing stories. “I frame social justice as the understanding of the difference that comes with experience, and race, class and gender. It’s OK for there to be different experiences—and be heard and understood in that regard,” he said. Also, under Chardin’s leadership, teachers lead exercises developed by Harvard University educator Marshall Ganz. Students, organized into small groups, develop and then share their “public story,” which delves into their values, what others can expect from them, and what they can learn from them. Hill said that Chardin’s willingness to share his personal journey with both students and parents at schoolwide assemblies has had an impact. “Hearing his story has been important to me. And he empowers teachers to tell their stories—which are all very different—and encourages them to relate to students in a more open way. Their stories are enlightening,” Hill said. For example, Chardin said that teachers have shared stories of being children of immigrants and wrestling with being an American while holding onto their own identity. Other adults in students’ lives—parents and guardians—also are incorporated into the fabric of creating a strong support system for students. Hill said Chardin makes a strong effort to welcome all families, encouraging them to participate in school council by tailoring each meeting around topics of interest to various people. Many parents of first-time middle schoolers need guidance understanding the changes they see in their children, Chardin said. “They may think, ‘This kid was my best friend until he turned 11. What is going on now? They won’t let me hold their hand and they don’t want to tell me anything.’ We help normalize the experience, let them know that their kids are not going crazy. It’s a natural part of human development,” he said. 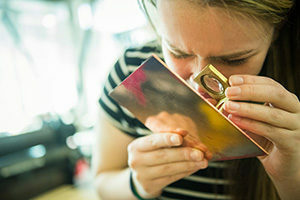 Chardin also organizes events for families called “Community Conversations,” during which outside facilitators, including professors from local universities and education nonprofits, lead conversations on identity and diversity. The events draw families, students and the public. Local businesses provide free hot food, and child care is offered, to encourage participation. Events attract 40 to 80 people, Chardin said. Chardin is looking to broaden his impact. He is working on a book (co-authored with Assistant Superintendent of Groton-Dunstable Regional School District and best-selling author Katie Novak), which will include strategies on how to infuse social justice into curriculum and school culture. For now, he is hoping that this chapter in the students’ lives will help them write their own stories of achievement and personal growth in the years ahead. “Math, science, reading and writing are important skills—but so is developing communication skills in a diverse world, problem-solving, conflict resolution and learning how not to fall victim to prejudice. So when the next generation is in a position to make decisions for us, we can feel comfortable that they will make good decisions that make us proud,” he said. At Putnam Avenue Upper School, Mirko Chardin’s office is welcoming. Natural light floods the space, with a small table inviting one-on-one conversation. Next to that: a mini-library with multiple copies of his favorite books. The “giving library,” as Chardin calls it, is stocked with books he frequently gives to students. “My passion for English literature from Wheaton I still carry with me today,” he said. What book does he recommend for a middle school student? A Beautiful Struggle by Ta-Nehisi Coates. 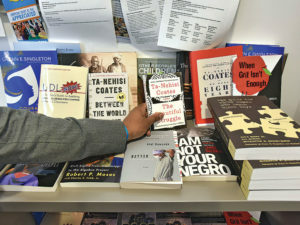 “A lot of people are aware of Ta-Nehisi Coates as an author and writer of Between the World and Me, but not a lot of people are aware of his memoir,” Chardin said. “It’s pretty short and highly accessible to teens. He essentially talks about his journey growing up, getting to the place he’s at. He talks about social justice and race issues in a more personalized than theoretical way. It’s light, relatable and a powerful memoir, particularly when I think of boys of color, to hear from this person who is a literary superstar now, hear his journey as a middle school-age kid, the ups and downs of what he went through to get to where he is now,” Chardin said.